On a scale from 1 to 10, how would you rate your hair happiness with your hair last year? If you answered less than 10, let 2018 be your best hair year yet! Now that it’s February, you are most likely well into your new year’s resolutions to exercise, read and eat nutritiously. 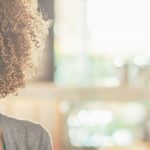 This is the perfect time to remind you to not forget about your hair and the care and attention it needs with these best hair tips. If you wash your everyday, it’s time to cut down on shampooing your hair. Overwashing strips the hair and scalp of its natural protective oils, causing dryness and irritation. Aim to wash hair twice per week, always using a gentle shampoo like Toppik Hair Building Shampoo. In between washes, absorb excess oil with dry shampoo like one from the Batiste line. The way that you wash your hair can make a huge difference as well. When you wash your hair, use a lukewarm temperature. While a scalding hot shower might feel great (especially in the winter), hot water dries out hair which can lead to breakage. 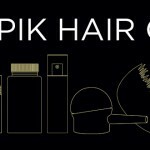 ● Fine hair: Choose a keratin conditioner to strengthen hair without adding any extra weight. Avoid oil-based treatments, which are too heavy for fine hair. ● Coarser Curly Hair: Coarse and curly hair types tend to be dryer, so use a heavier hair mask formulated with extra-hydrating ingredients like shea butter or avocado oil. Hot tools like blow dryers, curling irons, and flat irons can damage hair. Give your hair time to recuperate by skipping hot tools at least twice per week. When you do decide to style with hot tools, always use a heat protectant product. These products are specially formulated to mitigate some of the damage caused by applying heat to hair. Fine or damaged hair types should look for a heat protectant spray with keratin, which will strengthen hair. If your hair is thick, curly, or dry, try an oil-based heat protectant which will add moisture as it defends against damage. Even if you want to grow out your hair, it’s important to see your hairstylist for regular hair cuts. Regular trims minimize split ends and breakage, plus they make hair look more healthy. If your hair is really damaged, consider making a big chop and embracing shorter, healthier hairstyle in 2018. 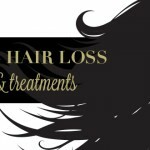 Any unnecessary fiction – or traction – on hair can cause damage, and lead to breakage or even hair loss. In fact, traction alopecia is one of the biggest causes of hair loss for women. ● Don’t wear your hair in the same hairstyle every day. Switch up the location of your ponytail or bun, and never wear them too tightly. ● If you wear extensions, be sure to avoid too-heavy hair extensions. Speak to your hairstyle about what hair extensions will work with your hair without damaging it. ● Brushing stretches the hair and can cause breakage, so limit hair brushing to once per day.Start at the roots and work your way through to the ends., always being as gentle as possible. Eating a proper diet will not only improve your body’s health, but your hair health as well. When we don’t eat properly, our hair follicles don’t receive enough nourishment to grow healthy, strong, and shiny hair. As a result, hair becomes brittle, dull, and may even begin to thin. Incorporate more hair healthy foods into your diet, paying attention to eating a wide range of vitamins and minerals with plenty of protein. Add a nutritional supplement like Viviscal to your daily routine to make sure you’ve got all your bases covered and support healthy hair growth. Utilize Hollywood’s hair secret, Toppik Hair Building Fibers, for more good hair days in the new year. Hair Building Fibers can be used to fill in updos, camouflage roots, and create the appearance of thicker hair. Available in 9 shades, Toppik Hair Building Fibers work for all hair colors and hair types. Overwhelmed? Don’t be! Experts recommend that it takes 21 days to create a habit. Choose one resolution to master each month. By the end of the year, you’ll have mastered these healthy hair habits and be well on your way to beautiful, healthy hair. Nice hair tips and it is also mandatory to use oil because it is also the food of our hair. I enjoy while reading it and want to ask that is there any special tips for doing something with hair before or after using the hair color or any hair accessories. Please let me know your suggestions I’m waiting for it. Thanks for sharing. Combing gently with a wide tooth comb minimizes hair breakages. You’ve got a ton of great hair tips here. I didn’t realize that traction was a thing, but what you said makes sense. I’ll have to make sure I don’t wear my man-bun in the same place every day. Hey, amazing tips, I can’t tolerate my hair fall anymore. I just wanna get rid from it. Will definitely try your tips. Thank you! It is really simple and informative article I enjoyed while reading it. Thank you so much for updating my knowledge I was looking for it on the net I found your article it is really short and sweet. Nice information. Keep blogging such an impressive information with us. Nice Blog. Thank for sharing. To get info on Body Hair Transplant visits our website. 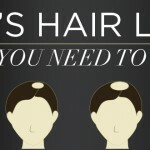 Great tips for keeping our hair as healthy and full as possible.